Are you drooling already? Our neighbor with Langka tree gave us one of its fruit and mom made us yummy turon. 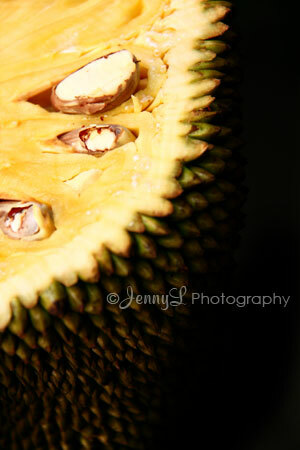 Had this for meryenda. Just in case you didn't know Turon is made of Saging Saba (banana) rolled in brown sugar and wrapped with turon wrapper. 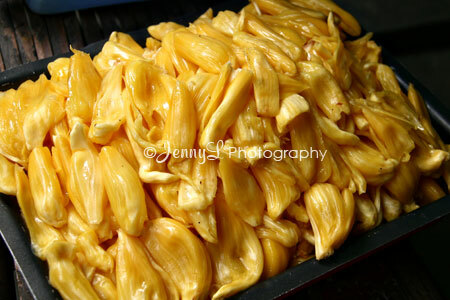 To make it more delicious you can add these langka (jackfruit) inside. i'm actually drooling sa langka. miss ko na 'yan! 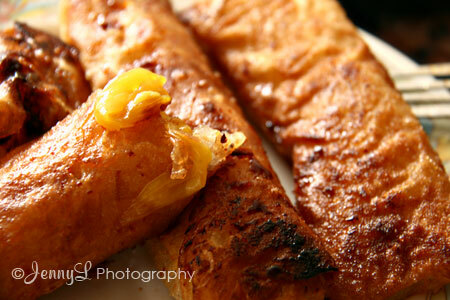 masarap talaga ang turon kapag may langka..
love turon with langka.. uber yummmm! Hi everyone thanks for the visit. Pls. leave some comments here, it'll bring smile on my face. HAVE A GREAT DAY!